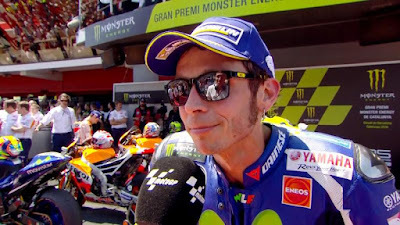 When Valentino Rossi (Movistar Yamaha MotoGP) spoke to the press after Qualifying at the Gran Premi Monster Energy de Catalunya he was full of doom and gloom. The new track layout hurt his pace and having to use the harder tyres seemed as though it would destroy any chance he had of battling for victory. But as he and his crew have done so many times before, a little bit of magic happened overnight and ‘The Doctor’ topped Warm Up. When racing eventually got underway the hustle and bustle into Turn 1 knocked him down the order to seventh, but was immediately making up ground. On lap seven Rossi took the lead with a textbook move into Turn 1, but he wasn’t free at the front. Rossi’s great rival Marc Marquez (Repsol Honda Team) was just behind, stalking him for most of the race until he struck with five laps to go. The duo battled for several laps, passing and re-passing each other. 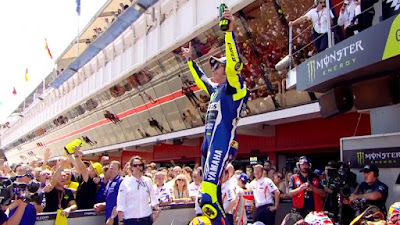 Fans edged forwards in their seats, the tension reaching a climax when Marquez made a mistake at Turn 7, giving Rossi just enough breathing room to break away and take his second victory of the year. 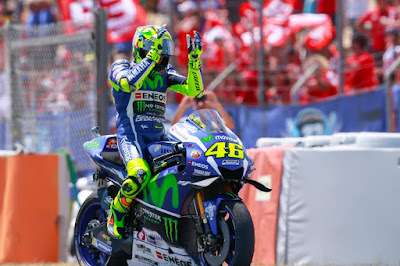 Both of Rossi’s wins have come on Spanish soil and with his Spanish teammate, Jorge Lorenzo (Movistar Yamaha MotoGP), failing to finish the race, Rossi’s championship is back on. 25 points for victory may keep Rossi third overall, but he is now only 22 points behind Marquez and only 12 back on his teammate. Fans were delighted to see Rossi and Marquez shake hands after their hard, but fair, battle. It’s all to play for as they prepare for Assen. Valentino Rossi won the Catalan GP after an excellent battle with Marc Marquez over the closing laps, as Jorge Lorenzo crashes out. 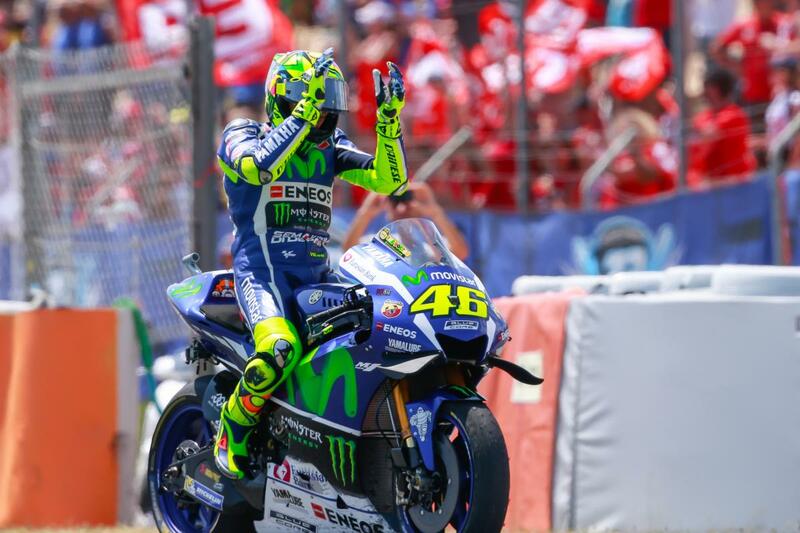 It may not have been his home race but Valentino Rossi certainly had the crowed behind him after a thrilling battle Marquez.